Sponsor initiated activities are developed by an RID approved sponsor and presented for group instruction or individual study. Examples include short courses, workshops, seminars, conferences, teleconferences and distance learning. Still not sure if an activity is offering RID CEUs? Members can search for the workshop by using the RID searchable database to locate the activity. Most activities are available to be searched 30 days before the start of the event. 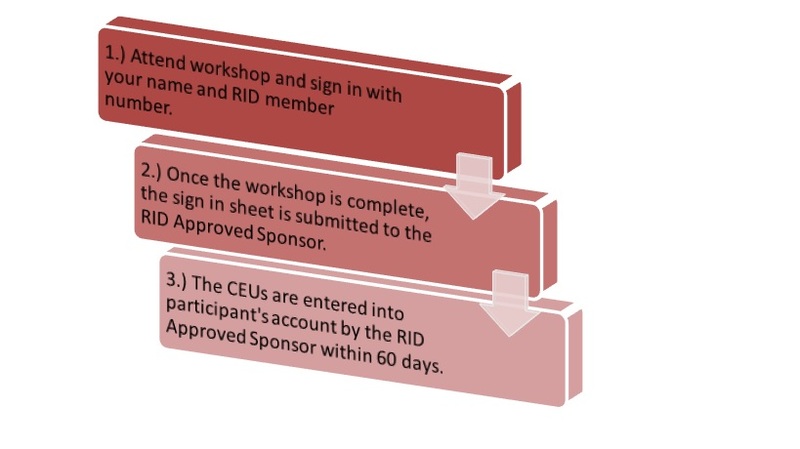 When you attend the workshop, make sure you have your RID member number, located on your membership card and in your membership profile.